Cytosport Monster Mass Weight Gainer Review - How Does it Compare to Cytogainer? Are you looking for a great tasting weight gainer that's loaded with top notch proteins and that is not stuffed with cheap carbs? 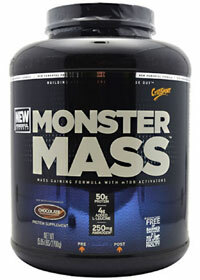 If so, then look no further than Cytosport's amazing Monster Mass gainer. Give this a try, and I promise you won't be disappointed! Indeed, being a bit of a hardgainer, I've tried my fair share of weight gainers on the market. Some are decent, others are full of cr@p, and there are a rare few standout products such as Monster Mass by Cytosport. With this, you're getting good amounts of protein along with reasonable (not overloaded with) amounts of carbohydrates giving you a really nice carbs to protein ratio. More on this in a bit... To top it all off, you can get this at a great price as well. With the basic macro nutrients, you also get a host of vitamins and some trace minerals. Looking at the protein content, there are 50 grams per serving, and the protein is made up of a mix of whey concentrates, whey isolates, casein, whey hydrolysate, and milk protein isolates. So you're getting a good blend of several different types of proteins with different absorption rates as well. While the 18 grams of fat per serving might seem high at first look, it actually contains a good variety of "good fats" if you dig a little deeper. You'll see that it contains MCTs (medium chain triglycerides), safflower oil, and some CLA. However, exactly how much of these is unknown from reading the label. Now, how about that protein to carb ratio, and how does Monster Mass compare to Cytogainer (both are made by Cytosport)? First of all, when it comes to picking mass gainers, I always go with products that are not overloaded with low-cost carbs. You'll find a lot of products on the market that are just loaded with cheap carbs, and I try to stay away from these. Generally, I like to go with products that have a carb to protein ratio below 2 (1.5 or lower is even better). Simply take the amount of carbs it contains and divid it by protein content. In this case, we have 67g carbs / 50g protein = 1.34, which is great! The nutrient profile between these two are actually quite similar, and the biggest difference is probably the amount of fat contained in Monster mass is quite a bit higher at 18g compared to just 5g in Cytogainer. 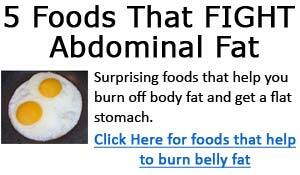 Again, this would be due to the addition of the good fats as mentioned above. Cytosport Monster Mass comes in several different flavors including chocolate, vanilla, strawberries & cream, cookies & cream, cake batter, and banana cream. I've tried the chocolate, cookies and cream, and banana cream flavors, and have to say that I really enjoyed all of them, but probably liked the chocolate and cookies/cream flavors the best. So if you're looking for a top notch weight gainer with a great nutrition profile that tastes great as well, then give Monster Mass a try!